Anyone familiar with the Assassin’s Creed series of games can easily jump into this story. Set in the world of “Assassin’s Creed: Syndicate,” it follows the basic formula of the games. 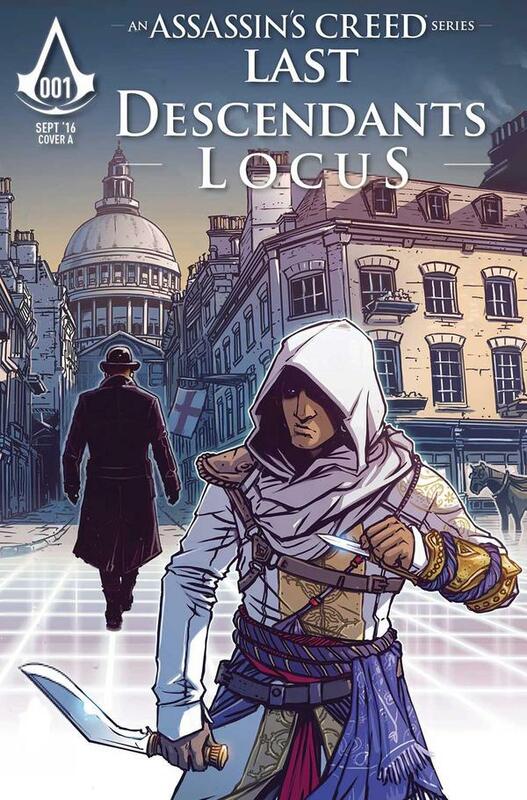 Assassins and Templars are fighting a secret war over the fate of humanity. Where this one plays a little bit different, though, is the main character isn’t an assassin, but a Pinkerton detective named Tommy Greyling. Tommy is asked by an old friend, someone who once saved his life, a favor. This man knows the secret of the Assassin and Templar war, and needs Tommy to help him recover something of great importance from the Templars. Humoring the old man, he decides to at least try and make some sense out of it. Before long though, he finds that he might have been telling the truth. The story alternates between the past and present, which is a tried and true formula for the game series, and it works just as well here too. While the story feels like Assassins Creed, the artwork feels like something else completely. The cartoon representation of the world feels a little bit less mature than what has come before. The writing at times feels stiff as well. In a visual medium, it is always a bit more fun to show, and not tell so much. It would have been nice to be brought into some of the action, instead of merely reading about it. Overall, it was worth the read. But anyone trying to fill the void until a new Assassins Creed game is released, I would recommend looking somewhere else. Hopefully on December 21st, when the Assassin’s Creed movie is released, that void will be filled.